Seeking serotonin help? Here’s how you can naturally increase levels of this powerful neurotransmitter to boost mental acuity and lift depression. 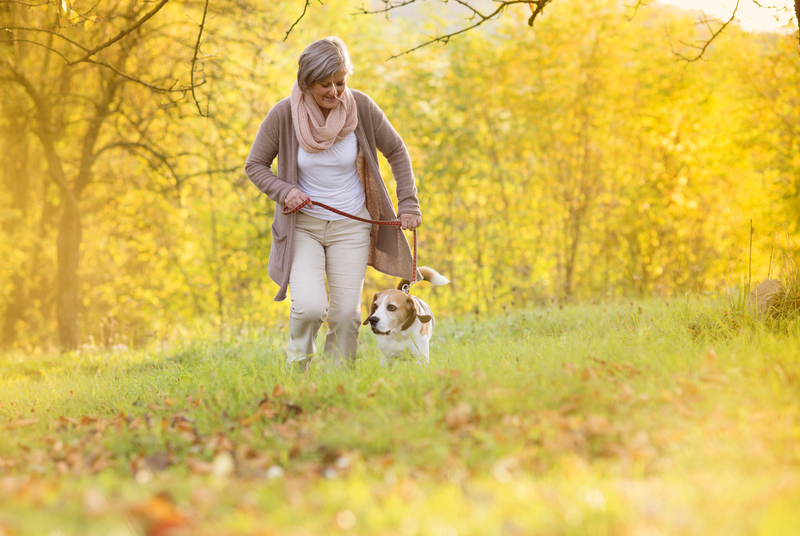 Getting regular exercise and making sure you can soak in some sunshine are easy ways to make sure your serotonin level maintains a healthy balance. The importance of the neurotransmitter serotonin in affecting mood has been widely acknowledged in numerous studies linking low brain levels of this key chemical with depression, anxiety, and irritability. Now, scientists are reporting another significant role the neurotransmitter plays in the brain—that of promoting memory and cognition. Scientists have identified a number of natural ways to increase serotonin levels. Here are five easy-to-adopt strategies. Exercise. Vigorous aerobic exercise delivers a double benefit. It raises brain levels of a growth factor called brain-derived neurotrophic factor (BDNF), which stimulates serotonin production. It also enables a precursor to serotonin, tryptophan, to enter the brain in larger amounts, where it promotes the manufacture of more serotonin. The benefits of exercise last long after your workout, elevating mood and sharpening your brain. Meditation. Spending about 20 minutes a day in peaceful meditation—during which time you attempt to relax fully, concentrate on your breathing, and empty your mind of all thoughts and feelings—has been shown in multiple studies to increase brain serotonin levels. Exposure to sunlight. Exposure to sunlight through the retina of the eye sets off positive hormonal reactions that lead to increases in serotonin. Sunlight also prompts the production of serotonin in human skin, increasing overall levels of the neurotransmitter. So significant is sunlight’s effect on the brain that too little exposure to sunlight—which may occur, for example, in many northern climes in winter—has been linked with a form of depression called seasonal affective disorder (SAD). 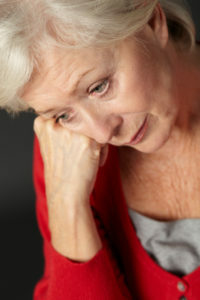 SAD is often addressed with daily full-spectrum light therapy provided by lamps capable of delivering brightness comparable to that of full daylight. Mental attitude. Research suggests that working to replace negative thoughts and reactions with more positive thoughts and reactions helps boost the production of serotonin in the brain. Serotonin levels also appear to rise if you make an effort to adopt more self-confident body postures and facial expressions. DEALING WITH A SEROTONIN DEFICIENCY? Do you tend to struggle with depression, find yourself unable to sleep at night, or contend with feelings of low self-esteem? These are all symptoms of serotonin deficiency. There are others, too, that you may be able to self-diagnose. Our post “Serotonin Deficiency Symptoms That You Can Identify Yourself” may bring things into focus for you; click here to read about signs may be telling you that you need a boost in serotonin. Serotonin Deficiency, aerobic exercise, affective disorder, aging, alcohol, alzheimer, anxiety, anxiety and insomnia, bacteria, benefits of exercise, boost serotonin, brain, cause of depression, cognitive function, curcumin, depression, depression anxiety, depression symptoms, diet, exercise, folate, food, gut bacteria, increase serotonin, increase serotonin levels, insomnia 2, light therapy, meditation, memory, mood, natural ways to increase serotonin, neurotransmitter, niacin, omega 3, omega 3 fatty acids, probiotic foods, retina, sad, sauerkraut, seasonal affective, seasonal affective disorder, serotonin, serotonin deficiency symptoms, serotonin in the brain, serotonin levels, serotonin production, serotonin supplements, skin, sleep, supplements, symptoms of serotonin deficiency, to treat depression, treat depression, tryptophan, turmeric, unable to sleep, unable to sleep at night, vitamin, vitamin b3, vitamin b6, walnuts, yogurt. I’m not a researcher but have done a great deal of research about serotonin for my desperate need to improve sleep. Age 93 I was put on the benzo drug Nitrazepam 55 years ago to overcome sleep problems caused by back pain. These drugs make one not just dependent on them but, in time lose their effect. Worse, they increase the need for more. With my sleep close to deprivation level I desperately needed to find a non-drug aid. Amitriptyline was suggested which I tried twice but it didn’t agree with me, and it’s still a drug that many people taking it are trying to come off. In my research I was shocked to discover that some elderly people are being diagnosed as dementia or pre-dementia when in fact they were simply low in brain serotonin. This particular amino acid is key among the other neurotransmitter amino acids by not only regulating memory, mood, appetite and many other vital functions but it also collaborates with and to some extent helps regulate the functions of the other neurotransmitters, so its a key player in many ways. One way of supplementing serotonin is 5-HTP, which for me offered the chance of better sleep. It’s been around for decades and with no evidence of serious side effects (nausea in some people, but even that subsided) I decided to try it 8 weeks ago. From day one my sleep has gradually risen from 2-3 hours to currently 6-7 hours, waking refreshed, alert. Unexpectedly I also feel less depressed, more confident and positive. But I’ve gone beyond even those benefits, with greatly improved sleep allowing me to now very gradually taper off my Nitrazepam dosage by tiny amounts. I use jewellers scales to remove 5 mgs of tablet each week. This effectively only removes .05 mgs of Nitrazepam, too little for the brain to notice, so no withdrawal effects. It will take all of 6 to 8 months to free myself of the wretched drug but I am already 20% towards my target. I can’t prove that I was deficient in brain serotonin but my personal experience is proving that I was. Which begs my important question – why isn’t the supplementation with 5-HTP being given more research, more publicity. I have spent hours reading forums of people telling of their wretched states of mind being prescribed cocktails of drugs by the millions. Depression, stress, anxiety, insomnia figure highly in their daily struggles. I’m not suggesting that 5-HTP will solve all their problems but for many, like me that have tried it if only out of desperation, it has proved more than a boon for just sleep. A sharper mind – which I really need, living alone and looking after myself, and I also still drive. More confidence, better mood, and even allowing me to withdraw after 55 years of drug dependence. If, as I suspect, and reliable reports have indicated, there are people seeming to be heading towards dementia when in fact due to the ageing process they are simply serotonin deficient, there surely is a case for more serious research and trials into the use of 5-HTP, if only to slow down this terrible disease? It’s being bought online and OTC by millions with huge numbers giving it their approval. But it’s still not medically approved, in fact my GP refused to even discuss it with me when I went for advice, because it wasn’t medically approved. How’s that for official prejudice?